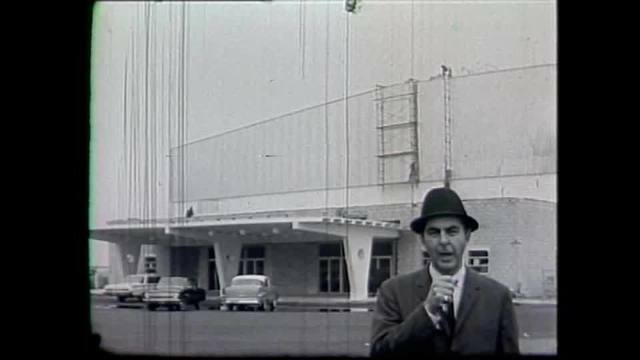 TROTWOOD, Ohio (WDTN) - When Hara Arena opened in 1964, one of the most glorious eras in Dayton sports history was born. The arena was not originally designed with a sheet of ice in mind, but the start-up Dayton Gems needed a place to play, and a match was made in hockey heaven. At the drop of the first puck, the gems were a hit. Players like Guy Trottier packed Hara with over 100,000 fans the first year. Nicknamed "The mouse," Trottier went on to play for six NHL and World Hockey Association teams, yet Dayton was his favorite stop. Trottier's widow, Dianne, says "It was like home." When asked what made it so special, she says "Probably the fans." Dianne remembers those electric early days watching her husband play with fans packing Hara, over 100,000 in the first year, and the trend continued as the wins came. Back-to-back championships in 1968 and 69 and a third in 1977. Within twelve years, the Dayton Gems and Hara Arena were the toast of the International Hockey League, then it went stale. Fred Burkhardt, Exec. Dir. Trotwood Community Improvement Corp., says, "It didn't happen all of a sudden. It wasn't so much what was happening as what wasn't done." Burkhardt says the mixture of failing maintenance and a shifting marketplace was the recipe for economic disaster. Not even the biggest musical acts like The Beach Boys, Prince, The Eagles and Van Halen could slow the slide. The concerts along with dog shows, car shows and Hamvention kept the doors open, yet the slide became a free-fall with the real estate market crashing in 2007. The inevitable was knocking on the door, and in 2016, the doors permanently shut. Hara was nothing more than a skeleton frame of memories. Flat-lined. There may, however, be life within those walls after all. Garrett Day LLC bought the arena and the 25-acres it sits on. A 250,000 square foot mess filled with strewn furniture, stripped copper and ripped ceilings is now a space of hope. Michael Heitz of Garrett Day LLC says, "We have engineering firms in there analyzing the quality of the building, seeing if we can utilize it for different options and so on. We're going through that process right now." Heitz says the building has good bones, and there's a carrot, another 110 acres surrounding the site. Heitz says they are in the final stages of foreclosing on the extra acreage. Heitz calls it, "Major development. We're already talking to major companies right now." Burkhardt adds, "Jobs Ohio is looking at this property as a major, as a major site. It's huge." The hope is soon, perhaps within months, that life is restored to the grounds. Hope to turn a site too painful for Dianne Trottier to even drive by saying, "I don't even go past because it just makes me feel really bad. Sick. To think it looks the way it does"
Sheriff Mike Simpson said Monday the Pilot Truck Stop at US-127 and I-70 in Preble County was robbed around 11:30 Friday night.